Altenburg is a city in Thuringia in eastern Germany, about 25 miles south of Dresden near the Czech border. The site of Altenburg in the Stone Age was a particularly favourable place to settle. 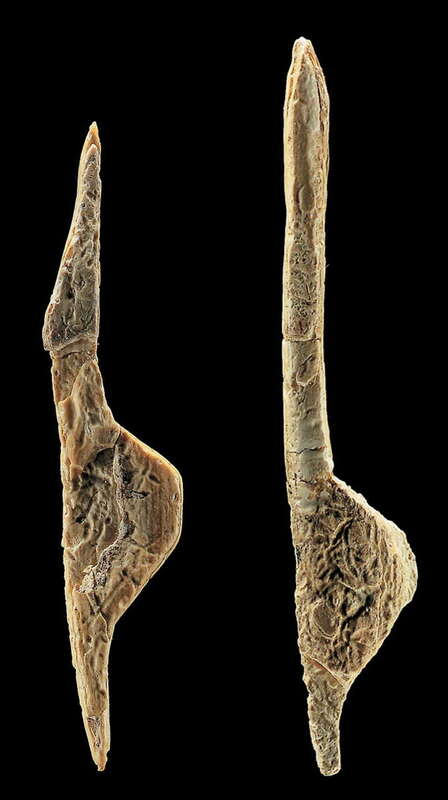 Excavations have uncovered a settlement of the Magdalenian hunters (about 17 000 BP). The tent-like dwelling was visited repeatedly over a number of summers. Floor plans and post holes of residential buildings have been identified. The most well known is the 'Venus of Nebra'. Bones of wild horses, reindeer, hare, grouse, flint artefacts, burins and knives have been discovered. This field settlement has been known since 1940 and was systematically excavated in 1962 and 1969. 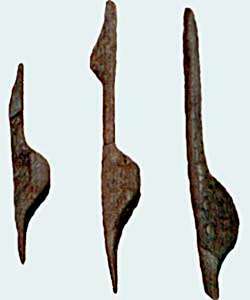 Overall, the digs provided about 2250 tools and 10 000 flint waste fragments . Which translates as Venus from Nebra, 15 000 years old, bone, original, on loan from the Landesmuseum. Three venus figures (figures 1, 2, 3) and an anthropomorphic figurine from Nebra. The objects appear to be facsimiles. Permission: licensed under the Creative Commons license Attribution-Noncommercial-Share Alike 3.0 Unported license. 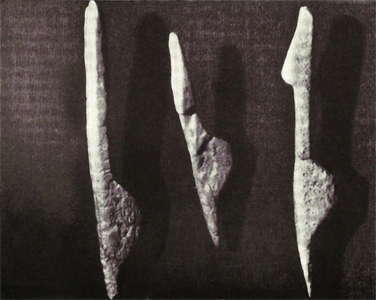 Sculptures of women seen in profile, from Nebra. The Nebra figurines are highly stylised statuettes dating from the late Upper Paleolithic ( Magdalenian ) and are the oldest known works of art in Saxony-Anhalt. They date from 14 000 - 13 000 BP and were discovered in 1962. The figurines are now in the permanent exhibition at the Vienna National Museum of Prehistory. The figures were found in the summer of 1962 during an emergency archeology rescue dig at an ancient castle in Unstruttal northeast of Nebra. The site was a 120 square metre open air site used by hunters in the late Upper Paleolithic, 14 000 - 13 000 BP, the Magdalenian. The excavators, Volker Toepfer, Helmut Hanitzsch and Dietrich Mania, discovered about sixty pit-like depressions and parts of a light red coloured flagstone pavement on a semi-circular area of 9 m × 3.5 m, where the Stone Age traces had been partly destroyed by a later Bronze Age settlement and a medieval moat. Most of the pits had a depth of more than half a metre and contained besides a large number of types of artefacts made ​​of stone, antler and bone well preserved remains of game animals and sandstone slabs, which had evidently served as wedges for the tent poles. The analysis of the animal bones showed the fauna was composed mainly of wild horse and reindeer. Furthermore, a hare , arctic fox and ptarmigan were found. Thse finds indicate a winter campground of Paleolithic Ice Age hunters and suggest an early stage of the Magdalenian. The four extremely simplified statuettes have a length from 52 mm to 66 mm. 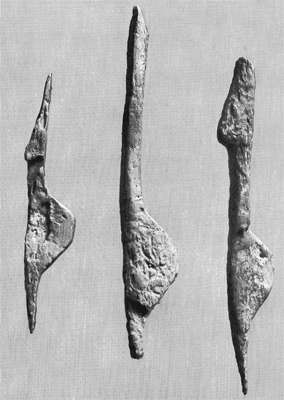 In side view, three of them have the silhouette of a human body, with a rod-shaped torso and buttocks accentuated. In addition, they are undecorated and have been created without head and feet. Due to the partially indicated breasts, these are most likely to representations of women. The fourth figure differs from the aforementioned female statuettes. Although it has the same base as the female figurines, the upper body is represented differently. Figure 1: This is made of light yellowish ivory. The long, straight, rod-shaped top, which is inclined slightly to the rear, shows no hint of a breast. The bottom section is over-emphasised and has a convex-triangular form. 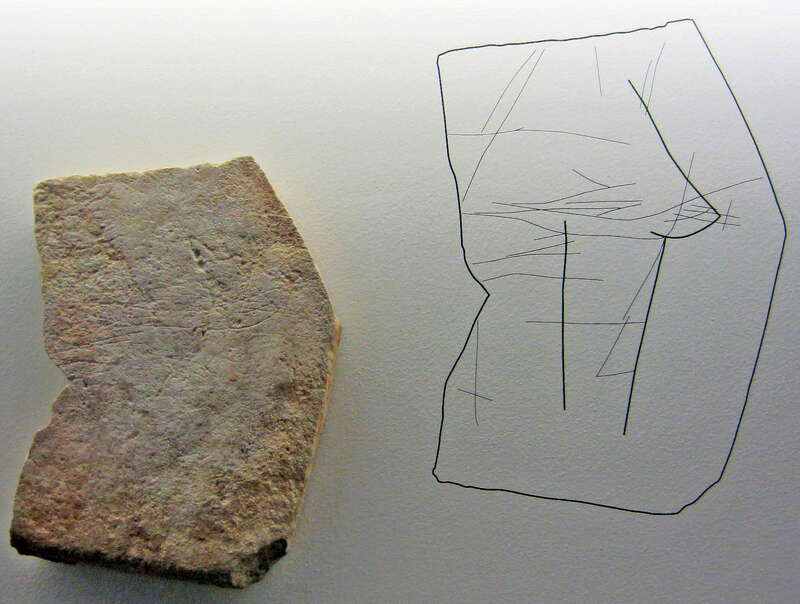 The statuette was in pit 50, formed from six thin, vertical sandstone slabs with dimensions of approximately 20 × 30 cm. The joints between the stones were filled with bone and the shoulder blade of a horse. A 60 × 70 cm long horizontal sandstone slab covered the stone box. Many bones and bone fragments, especially of horse and reindeer , and a broken piece of travertine limestone, which may have been used as an oil lamp, grease lamp or as a sacrificial vessel, were incorporated into this pit. Also included in the pit were some forty blades and flint flakes, and 25 tools of various types. The pit and the stone box were coloured with ochre. 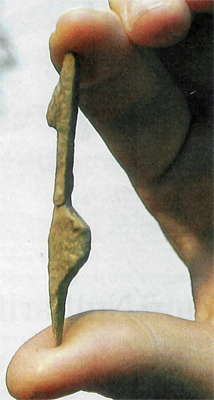 Figure 2 : This figurine is carved from reindeer antler. The colour is grey-white with a reddish tinge. The base tapers from an exaggeratedly convex buttock. By contrast the top, with prominently crafted breasts, is slightly tilted backwards. This female figure came from the tent pole pit 33. The pit had a circular plan and was sunk 65cm into the ground. Also included in this pit were some forty bones or bone fragments, 15 tools, 11 burins and 57 blades and flakes. Figure 3 : This figurine has been carved and polished, and, like the first figurine, is made ​​of ivory. This woman figurine was found, broken, in the tent pole pit 7. The pit had a cylindrical shape with a diameter of 30 cm. It also included about eighty bones, bone fragments and fish vertebrae. Furthermore, were found in this pit twenty tools, twelve burins, eighty blades and flakes from white patinated flints. Anthropomorphic figurine : this stylised, anthropomorphic figure of ivory was found in the pit 22. Its lower part is shaped like the female figurines, with their backs forming a kind of hump. It also has a slightly forward-sloping head. According to the described features, the Nebra venus figures are assigned to the Gönnersdorf style of figurines. The representations are meant to be seen in profile. 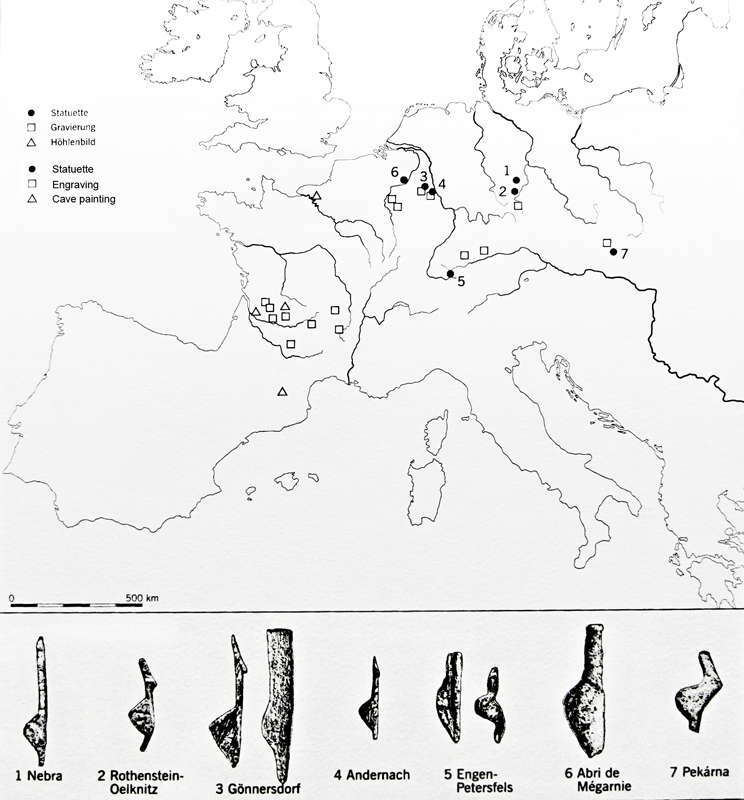 The female figurines of the sites: Gourdan – Courbet – Fontalès – Mégarnie – Gönnersdorf – Andernach – Hohlenstein – Petersfels – Neuchâtel-Monruz – Oelknkitz – Garsitz – Pekarna – Býčí skála – Menzin – Mežirič – Dobraničevka also belong to this type. Overall, there are currently about 95 statuettes of the 'representation principle of Gönnersdorf' from 17 sites. Distribution of Gönnersdorf type representations in Europe. Sandstone slab with a sketched representation of a woman in Bad Kösen-Lengefeld, Burgenlandkreis, Sachsen-Anhalt. 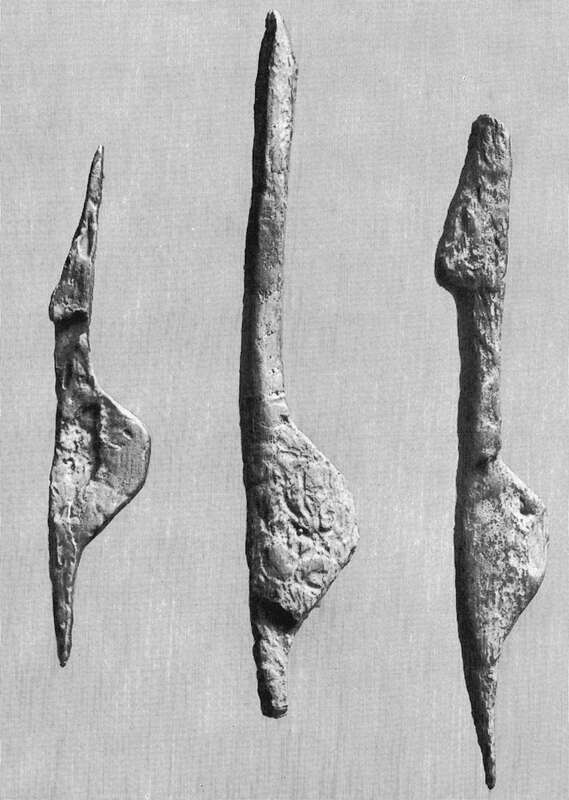 This image shows three very similar venuses from Nebra. These are the venuses on the extreme left and right of the photo above. Another version of the original Venus of Nebra. 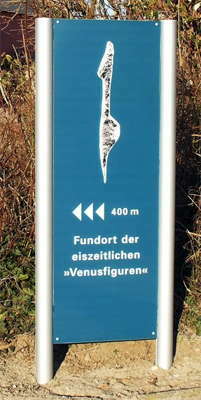 Sign leading to the site of the Nebra Venus. Drößler R., 1967: Die Venus der Eiszeit, Prisma-Verlag, pp 268. Drößler R., 1980: Kunst der Eiszeit, Koehler & Amelang , pp 241.